For a curious student with a hard work ethic, the agriculture industry has boundless career possibilities that may have never crossed their mind. 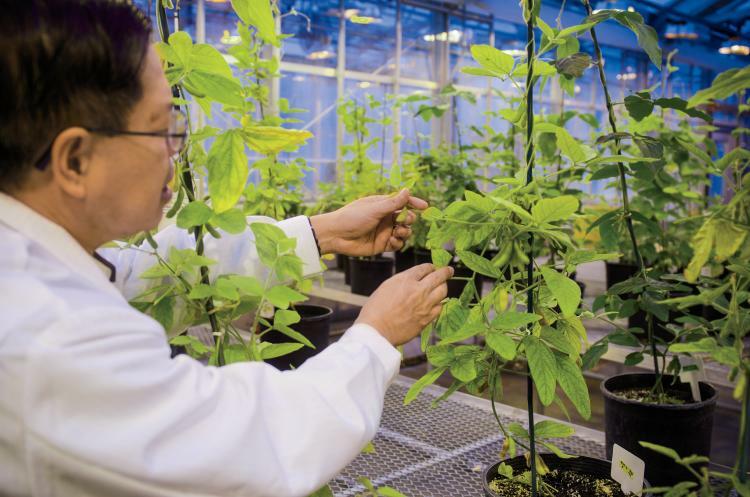 Students who enjoy biochemistry may have overlooked a career in agronomy or biofuels. The mechanically minded may be pleasantly surprised by a career as an agriculture engineer or precision agriculture specialist. Writers and photographers may find fitting opportunities as agricultural journalists. The agriculture industry offers more than 250 career options in the areas of food, fiber and fuel, according to agcareers.com. Recruiters say that almost anyone’s passions and interests can align with a career in agriculture, Missouri’s No. 1 industry. Possible job titles include food scientist, dietitian, livestock nutritionist, economist, conservation planner, extension and outreach specialist, commodity trader, teacher, and much more. Surprising to most, these careers require no farm background. MFA Incorporated employs nearly 1,700 people who serve more than 45,000 farmer owners in Missouri and adjacent states. Employees have achieved education levels ranging from a high school diploma to a Ph.D. and serve the cooperative’s patrons as veterinarians, truck drivers, bookkeepers, managers, salespeople, agronomists, feed nutritionists, finance professionals, communications specialists and more. Arri predicts steady demand for agricultural jobs in the future, largely in response to feeding the world’s growing population. MFA Incorporated routinely carries a balance of about 60 to 70 open positions, from entry-level employment to management. Kueffer expects that trend in job demand to continue.